This Avocado Soup recipe comes with a built-in plea to try it with a batch of freshly made vegetable stock. 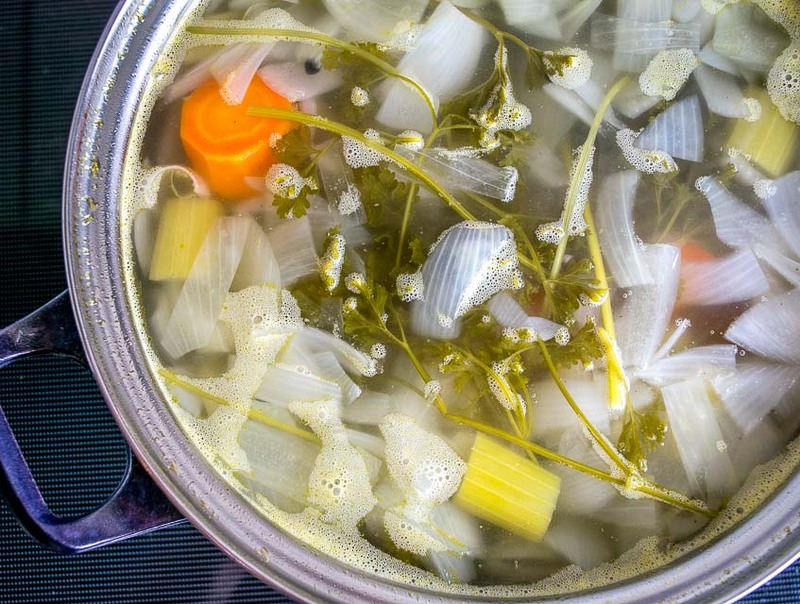 Making veggie stock will instantly upgrade your kitchen so please consider giving it a go. I’ll include instructions for a stock express version that you might forever associate with this otherworldly soup. 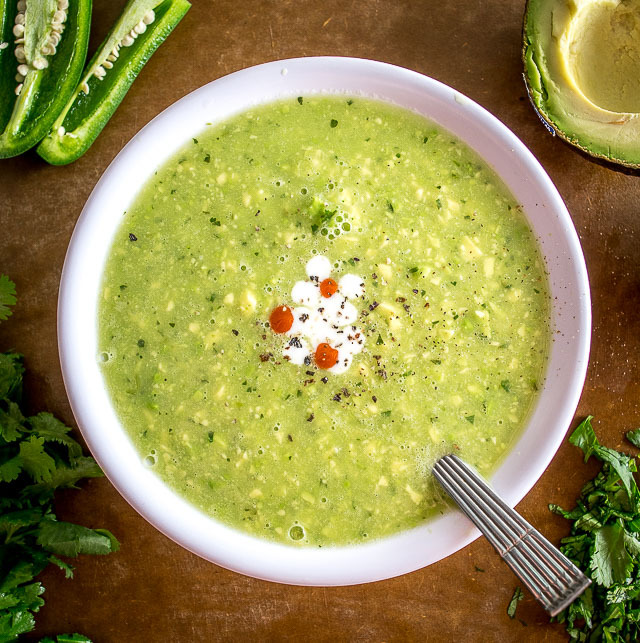 Not only will you end up with a vibrant batch of stock that will work wonders in a wide range of dishes (like Cilantro Lime Rice and Poblano Soup), but it will turn this simple Avocado Soup recipe into a meal no restaurant in town will be able to top. For realz. You can make great stock using all sorts of veggie combos, so please keep in mind that you’ve got lots of leeway on your version. Feel free to improvise based on what you’ve got in your kitchen. 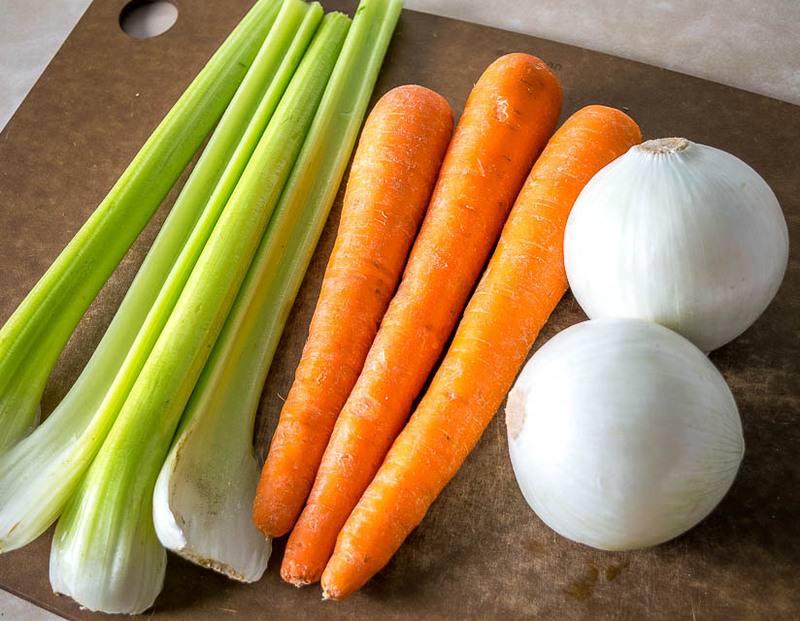 A good starting point for a gallon of stock is two pounds of mirepoix (1 pound onions, 1/2 pound carrots, 1/2 pound celery). This will roughly translate into 2 onions, 3 medium carrots and 3-4 stalks of celery, but don’t sweat weighing out the veggies as your stock isn’t concerned about appearances. Chopping these up into smaller chunks will help expose more of the veggies to the simmering water. 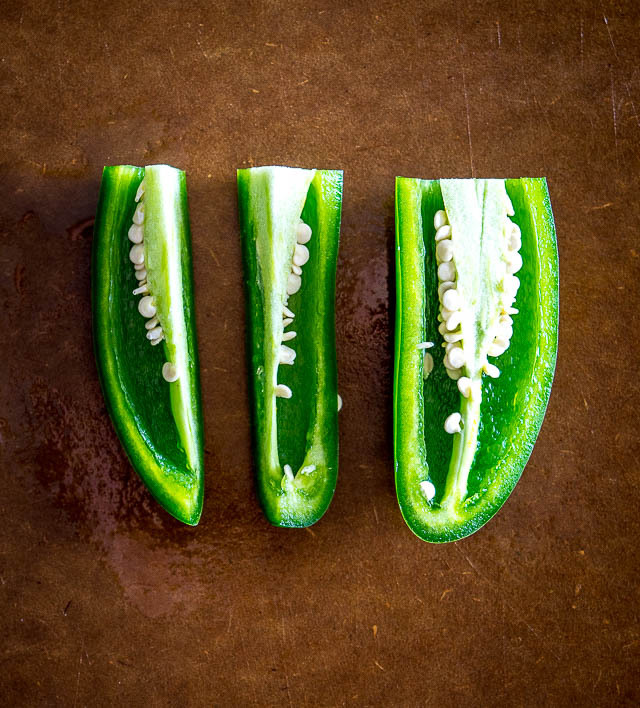 Start by giving these a sweat in some oil using a gallon-sized pot. We have a post on the site that details how to roast vegetables for stock in the oven, and this quick sweat (5-10 minutes) is a shortcut for that method. Once the veggies are softened you can add the aromatics. We’re adding 1/2 bunch parsley, bay leaves, and about 10-15 peppercorns (approx. 1/4 teaspoon), along with cold water filled to the rim. Use high heat to bring this to a boil and then reduce heat to a simmer. And your kitchen will smell like a dream! Strain the stock but you can definitely keep the veggies around to munch on. You’re left with close to a gallon of light, vibrant freshly made vegetable stock. Easy right? This stock freezes well, so feel free to tuck some away for future use. You’ll need 5 cups of it to make the Avocado Soup. 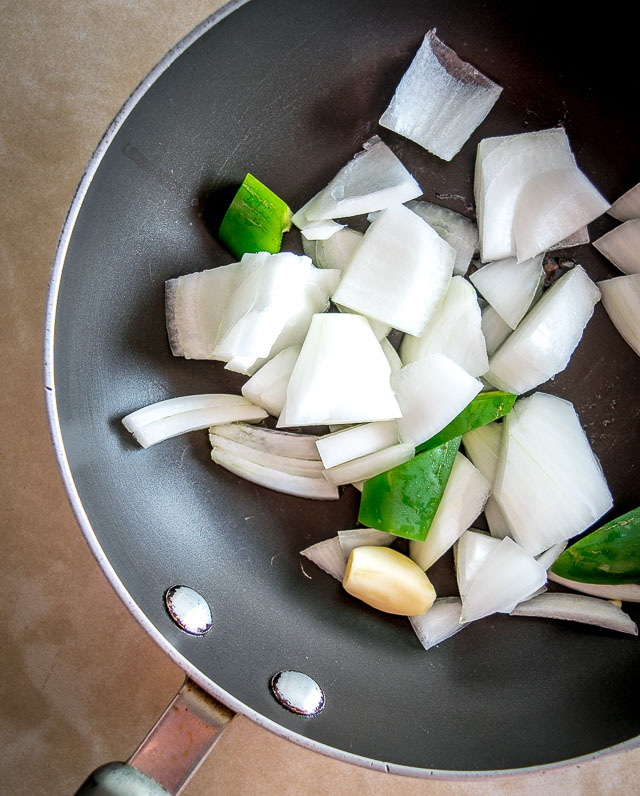 For the soup, start by cooking 1/2 onion, 1/4 jalapeno, and a single garlic clove in a dollop of oil. You can chop them roughly as all of this is going into the blender eventually. And note that 1/4 jalapeno gives the soup just a hint of heat, but keep the rest of the jalapeno on hand in case you want a more fiery version. I like to combine this well before adding the avocados so give it a good whirl. Once combined, add the flesh of 2 avocados and pulse blend (I leave the avocados a bit chunky). And now take a taste, but don’t eat it all! I added another 1/4 teaspoon of salt (so that is 3/4 teaspoon total) and another healthy squeeze of lime. If all went according to plan you’ve got a light, vibrant soup that will work wonders on not-so-sunny days. This is typically served lukewarm or chilled. 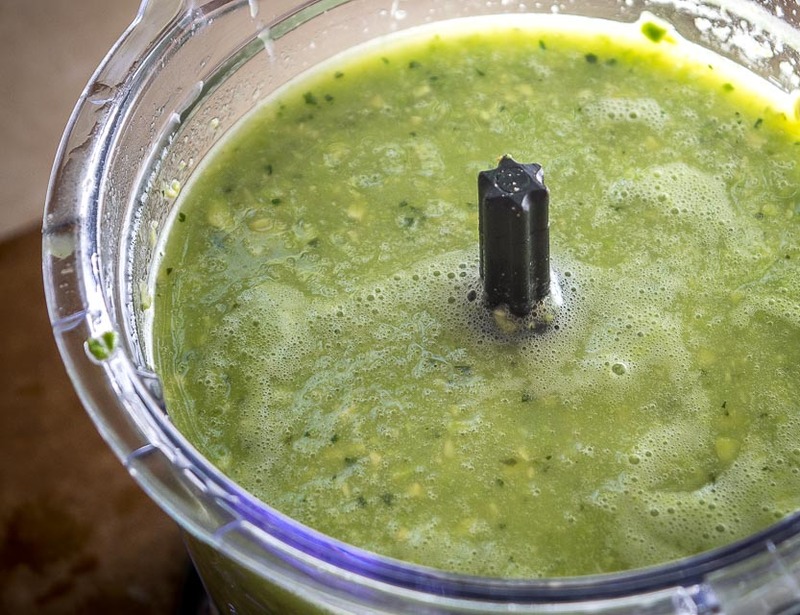 And since your batch of stock is still warm you can chow down on this right out of the blender. There are loads of options for final garnish but I definitely recommend a final burst of acidity. Lime juice or hot sauce are good choices (or both! ), and you can’t go wrong with some Crema and freshly cracked black pepper. Store the leftovers in an airtight container in the fridge. 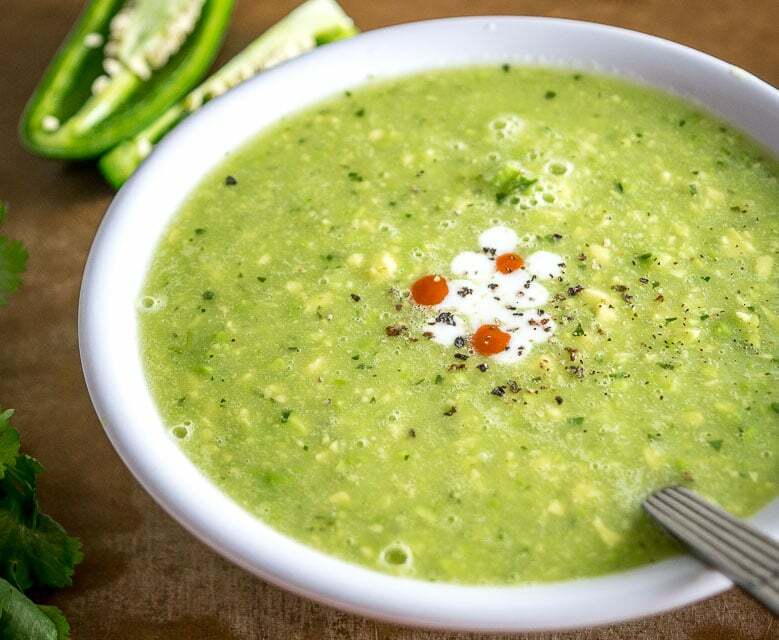 Give it a try the next day and you’ll know if you prefer this Avocado Soup warm or chilled. I like the lukewarm version best, maybe because it’s a reminder of that versatile stock that just made its way into the kitchen. Please use the comments section below if you have any questions about the stock used in this soup. 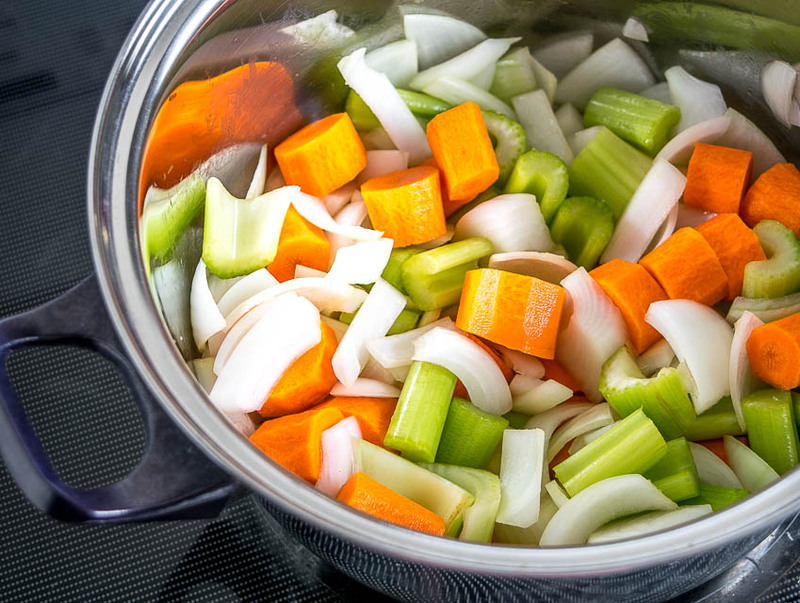 It’s such an easy process and it’ll have you eating this delicious soup about an hour from now. Here's a delicious Avocado Soup recipe that you can always rely on. Serve it lukewarm or chilled and definitely try it with some freshly made veggie stock! 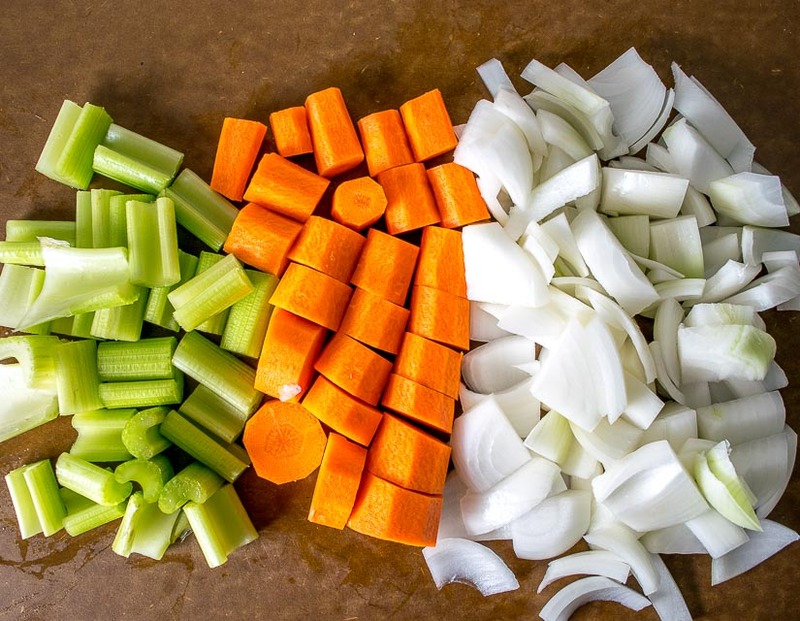 To make the vegetable stock, start by roughly chopping 2 onions, 3-4 carrots, and 3-4 celery stalks. Add these to a gallon-sized pot along with a dollop of oil. Let the veggies sweat until they are just starting to soften (approx. 10 minutes). 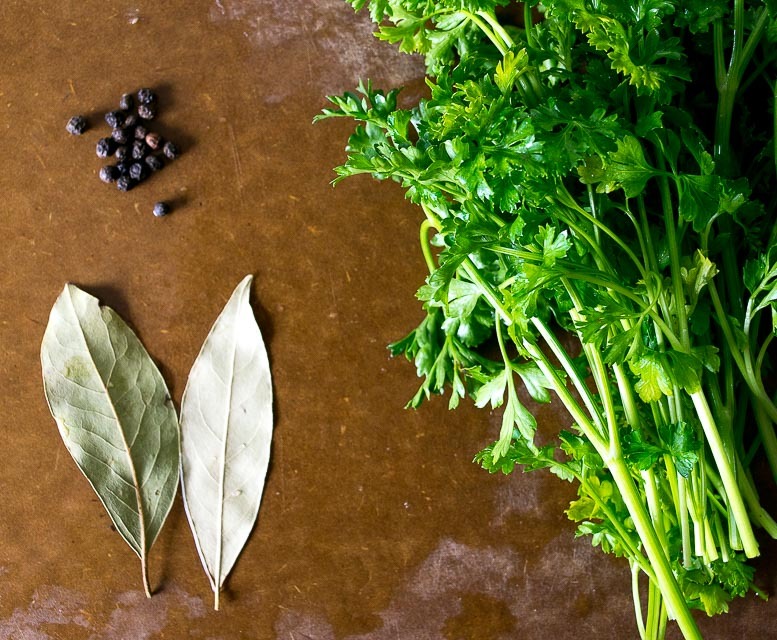 Fill the pot to the brim with cold water and add 1/2 parsley bunch, 10-15 whole black peppercorns, and 2 bay leaves. Bring to a boil and then reduce heat to a simmer. Let simmer for about an hour (or longer if you want). Strain the stock. You can keep the veggies around to munch on if you want. You'll need 5 cups of this stock for the Avocado Soup. Store leftover stock in the fridge where it will keep for at least a few days, or in the freezer where it will keep for months. 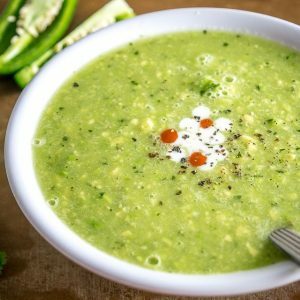 To make the Avocado Soup, start by cooking 1/2 onion, 1/4 jalapeno and 1 garlic clove in a dollop of oil over medium heat. 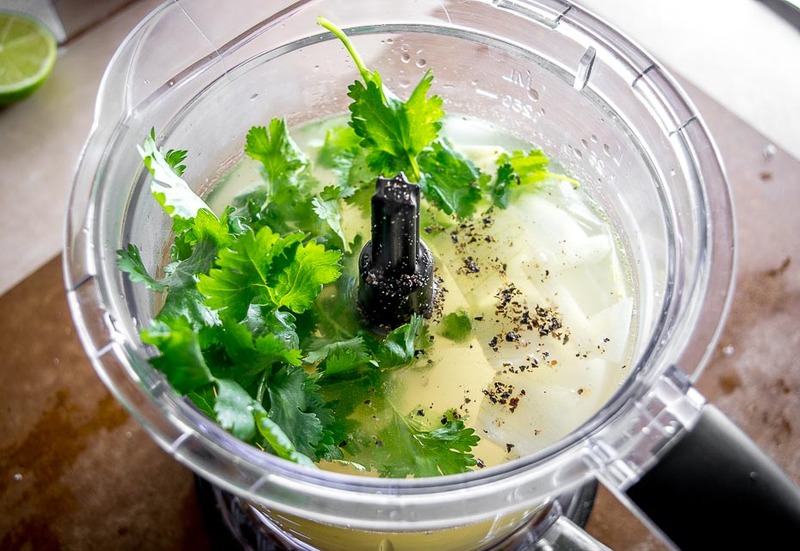 When the onion is softened and just starting to brown (5-8 minutes), add the mixture to a blender or food processor along with 5 cups of stock, 15-20 sprigs of cilantro, the juice of 1 lime, 1/2 teaspoon salt, and some freshly cracked black pepper. Combine well. Add the flesh of 2 avocados and pulse blend (I usually leave the avocados chunky). Taste for seasoning. I added another 1/4 teaspoon salt (so that is 3/4 teaspoon total) and another squeeze of lime. This is typically served lukewarm or chilled. 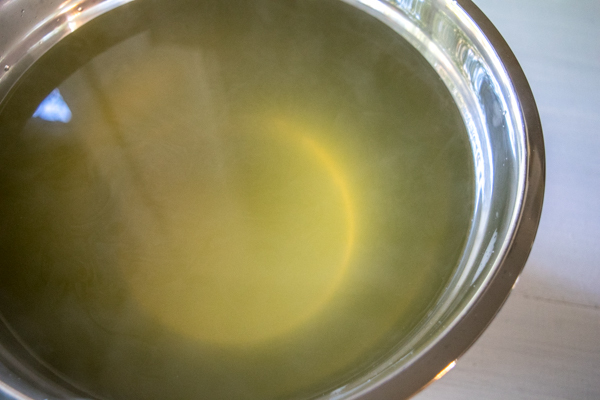 If you are using freshly made stock you can serve it right out of the blender, otherwise you can warm it up lightly in a saucepan over mediumish heat. Additional garnishes include Crema, black pepper, and definitely a final burst of acidity (lime juice or hot sauce). 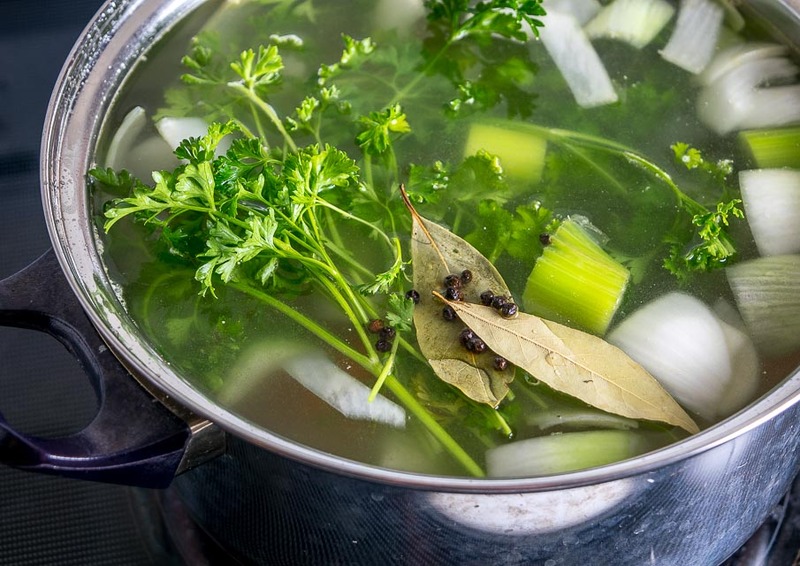 There is lots of leeway when making stock, so don't feel like you have to use the exact ingredients listed. Feel free to improvise based on what you've got in your kitchen. Soup crazy? 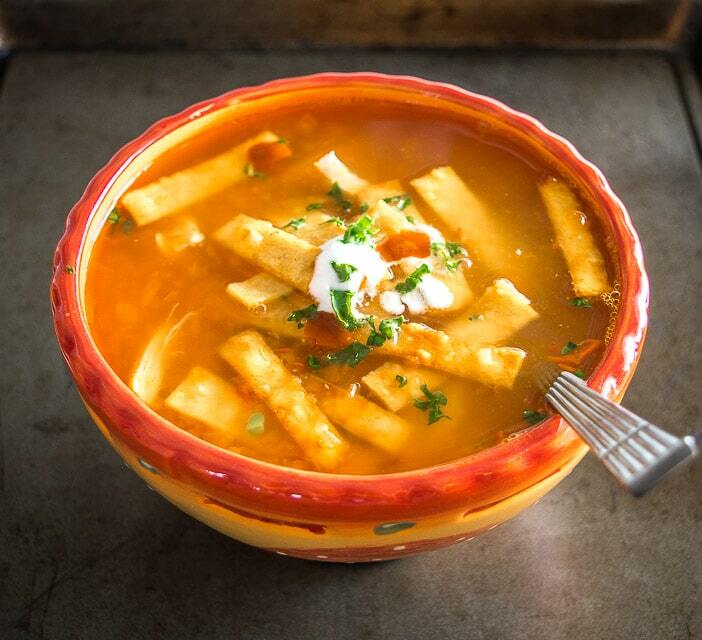 Try our authentic Chicken Tortilla Soup. 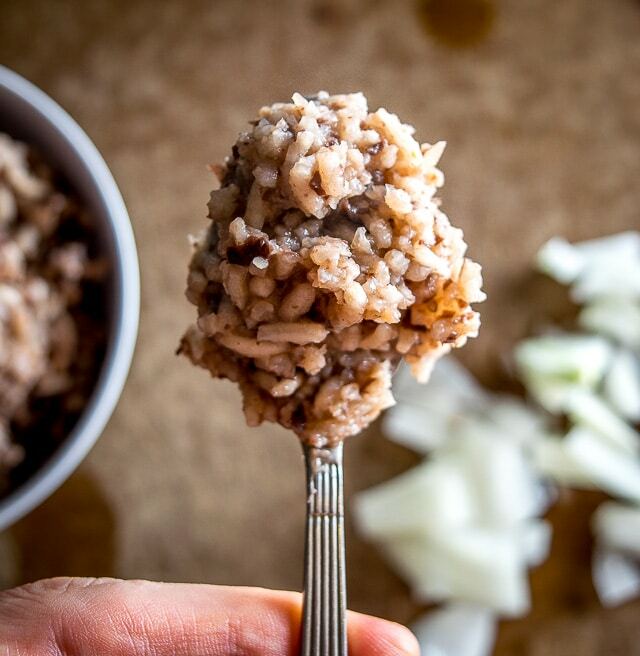 Our latest post is this delicious Bean Broth Rice.